So, what’s the difference between a trademark and a copyright? A trademark is is a recognizable sign, design or expression which identifies products or services of a particular source from those of others, unique to your company. A trademark or includes any word, name, symbol, device, or any combination, used or intended to be used to identify and distinguish the goods or services of one seller or provider from those of others, and to indicate the source of the goods or services. The advantages of registering your trademark with the USPTO are: you give notice to the public of your claim of ownership of the mark, legal presumption of ownership nationwide, and the exclusive right to use the mark on or in connection with the goods or services listed in the registration. An unregistered trademark, commonly abbreviated as TM and visualized by the trademark symbol ™, is a trademark which does not benefit from the protection afforded to trade marks through registration. In the United States, neither federal nor state registration is required to obtain rights in a trademark. An unregistered mark may still receive common law trademark rights. Those rights, for example, may extend to its area of influence—usually delineated by geography. That means, multiple parties may simultaneously use a mark throughout the country or even state. The registered trademark symbol, designated by ®, is a symbol that provides notice that the preceding word or symbol is a trademark or service mark that has been registered with a national trademark office, which is the USPTO in the United States. Trademarks rights must be maintained through actual lawful use of the trademark. These rights will cease if a mark is not actively used for a period of time, normally 5 years in most jurisdictions. In the case of a trademark registration, failure to actively use the mark in the lawful course of trade, or to enforce the registration in the event of infringement, may also expose the registration itself to become liable for an application for the removal from the register after a certain period of time on the grounds of “non-use”. Having a lawyer draft and file these forms for you can save time and save you unnecessary fees. A copyright, which is designated with the symbol ©, protects original works including “literary, dramatic, musical, artistic, and certain other intellectual works.” A business can copyright its books, reports, audio or video materials. Work is automatically copyrighted at the time of creation; however, registration is required if a business wants to sue over the use of the material by another party. Copyright registration requires the filing of a form, paying a fee, and sending a copy of the work to the United States Copyright Office. A lawyer can assist you in filing these forms. 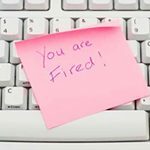 How to Fire an Employee in Florida What is a Fiancé Visa?